It’s limited to 1000 listings a month. Considering I could list 100 per d …It’s limited to 1000 listings a month. Considering I could list 100 per day for free this is a massive reduction of approx 2000 listings a month for me. No wonder private sellers are moving to gumtree, preloaded and Facebook groups. Sorry cold from me. Can't be too long now before Ebay collapse, profits dropped 60% last year and they seem desperate. No surpise really they way they have treated sellers over the last few years. Not only with things like fees on postage but also making the process of selling so long and detailed it's hardly worth anyone's time. It’s limited to 1000 listings a month. Considering I could list 100 per day for free this is a massive reduction of approx 2000 listings a month for me. No wonder private sellers are moving to gumtree, preloaded and Facebook groups. Sorry cold from me. 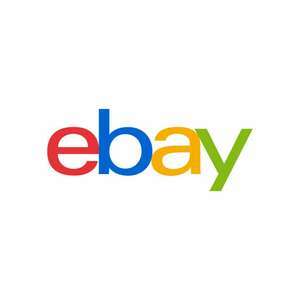 Can't be too long now before Ebay collapse, profits dropped 60% last year …Can't be too long now before Ebay collapse, profits dropped 60% last year and they seem desperate. No surpise really they way they have treated sellers over the last few years. Not only with things like fees on postage but also making the process of selling so long and detailed it's hardly worth anyone's time. No I’m a private seller and list about 250 maximum but most don’t sell and resisting every 5 days soon eats up the new lower quota. No I’m a private seller and list about 250 maximum but most don’t sell and …No I’m a private seller and list about 250 maximum but most don’t sell and resisting every 5 days soon eats up the new lower quota. Stop faffing around with 5 day listings then and put them on for 30 days.